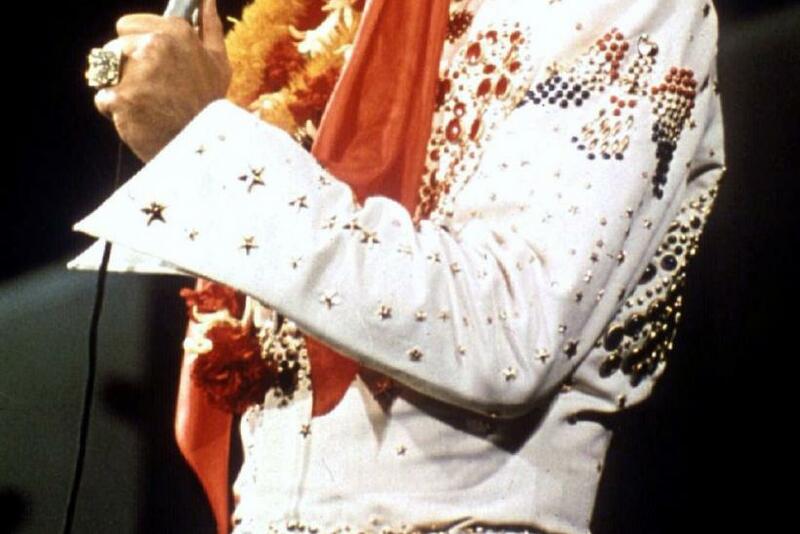 A vial containing a few clippings of Elvis Presley's real hair was sold for $4,160 at the Music Icons and Sports Legends Auction held at Julien's Auctions in Beverly Hills. This is not the first time that the Presley's hair went up for auction. Past auctions also raked n thousands for late King of Rock N' Roll's clippings. However, this latest collection of Presley's hair was just one of the several items that were auctioned over the weekend. Some of the objects that were auctioned once belonged to Michael Jackson, Whitney Houston and Amy Wines, reported On The Red Carpet. The clippings were collected by his personal hairdresser, Homer Gil Gilleland, who kept them in a plastic vial. As he worked with Elvis off and on up through the 1970s, Gilleland kept locks of Presley's hair, attaching them to business cards and ultimately giving large collections to friends, Julien's Auctions said in its listing. There have been several large groupings of Elvis hair sold. In 2009, a strand of hair Gilleland had held onto sold for about $1,560. A jar containing his hand went for $115,000 in 2002. There were several other oddedities sold at the auction including a photo of an X-Ray of Presley's arm, which sold for $9,375, reported On The Red Carpet. A champagne glass that is believed to have been used at Presley's wedding to Priscilla in 2967 sold for $312.50 at the auction. Whitney Houston's passport also fetched several thousand at the auction, reported NTDTV. There were 43 items in total that were once owned by Whitney Houston, including several dresses that also were up for sale each had a starting price of about $2,000. Michael Jackson's moonman-shaped MTV Video Music Award for Viewer's Choice, given to him at the network's inaugural ceremony fetched $51,200, reported On The Red Carpet.